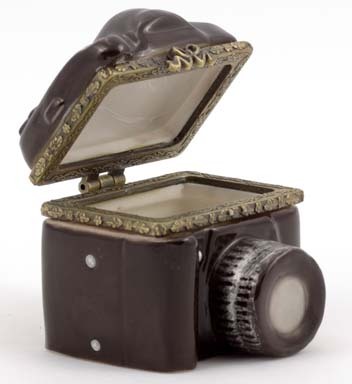 This is a little trinket box. 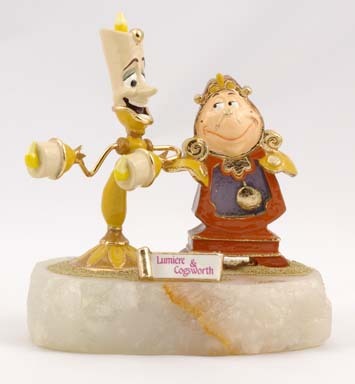 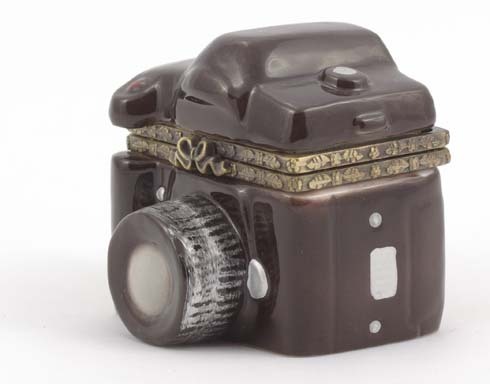 It's a Limoges knock-off. 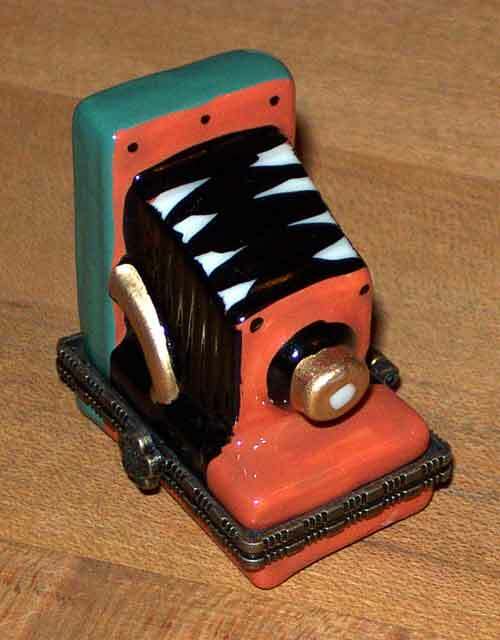 Often referred to as Limoges style or type. 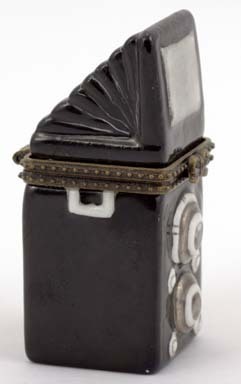 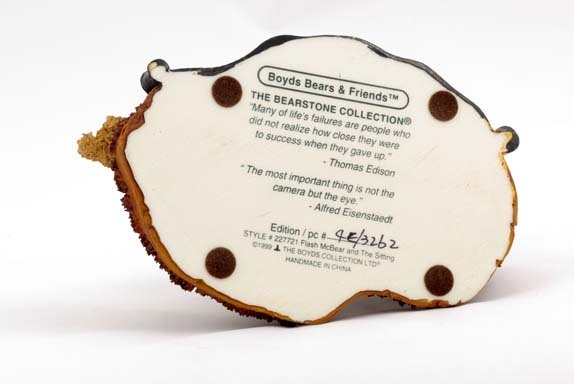 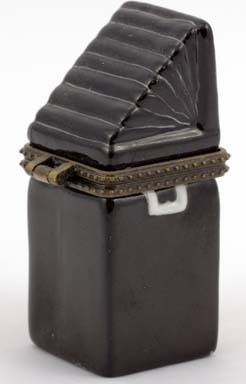 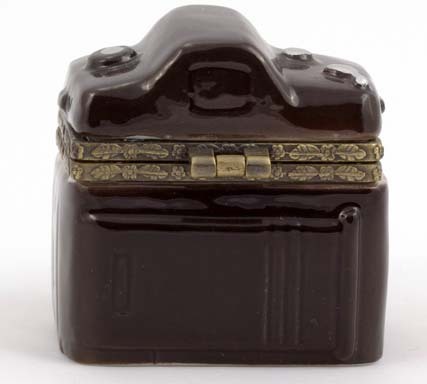 In fact, it's just an inexpensive little trinket box that attracted the eye of this collector. 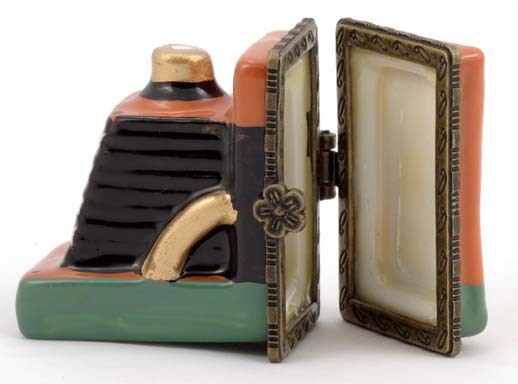 Another little trinket box. 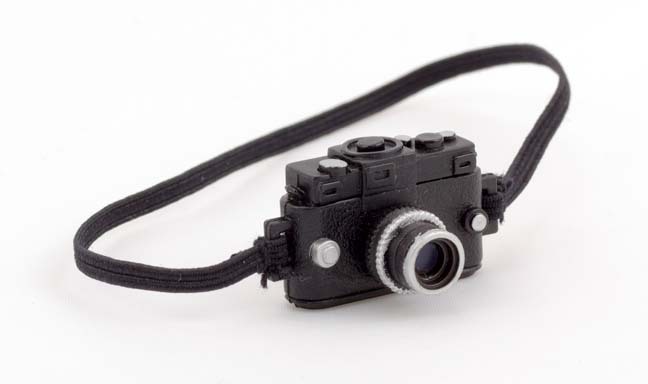 See above.. . 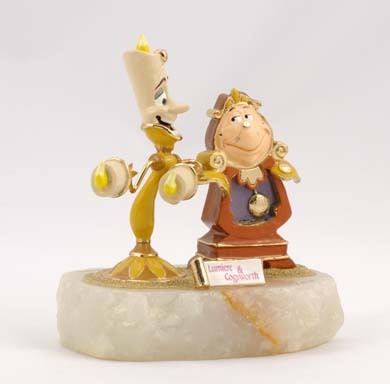 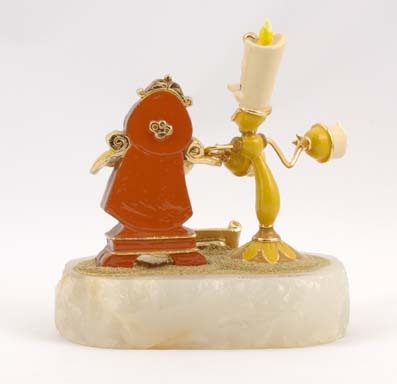 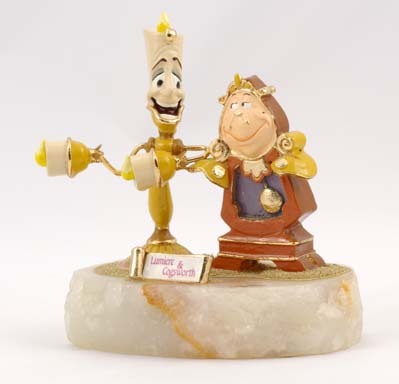 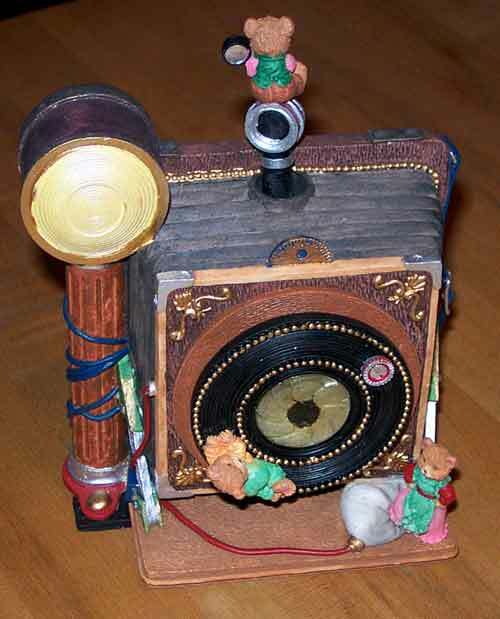 Cool animation music box. 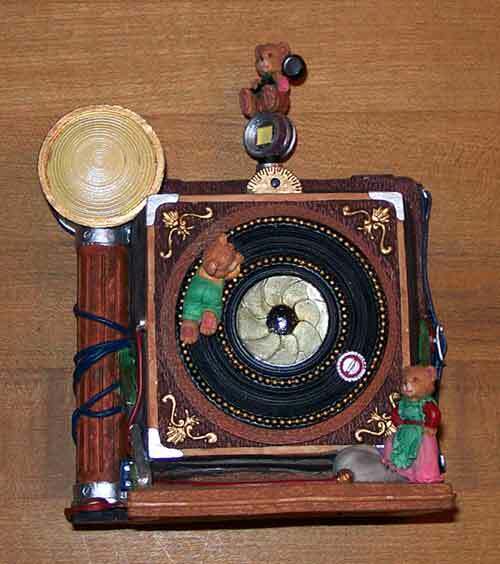 The bears on the front and top go round and round while it plays a little tune. 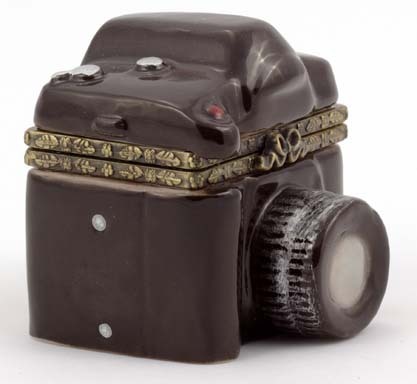 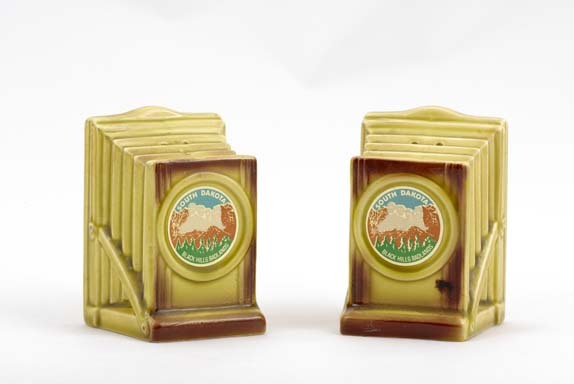 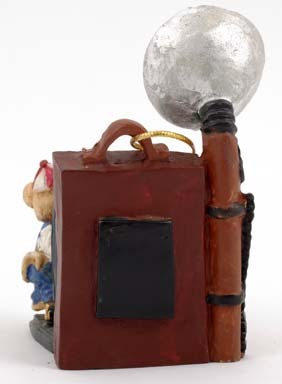 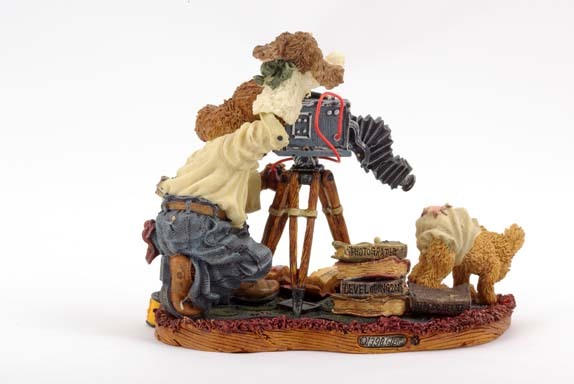 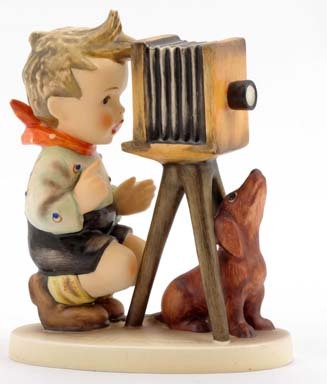 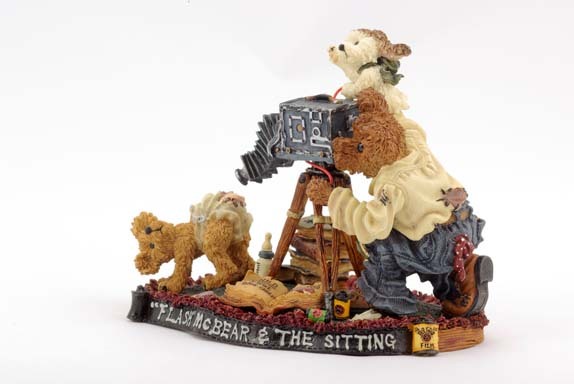 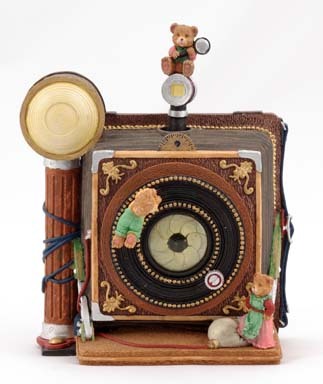 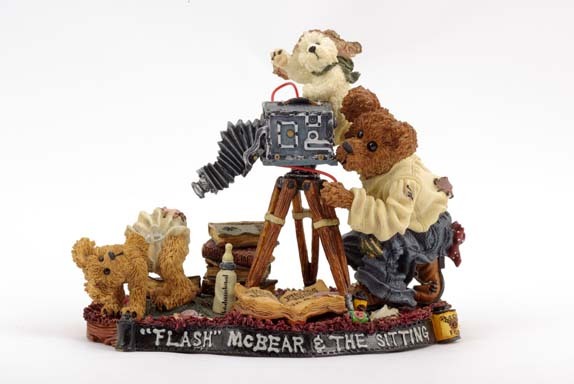 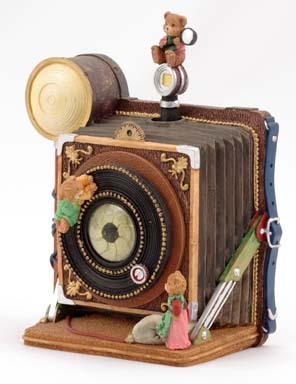 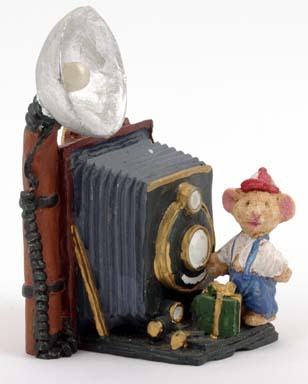 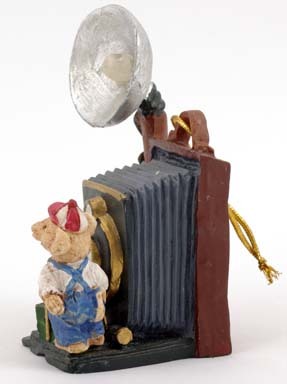 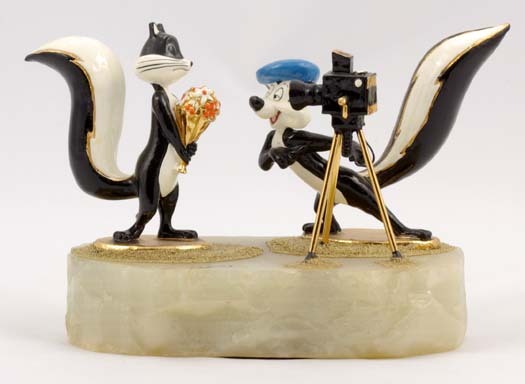 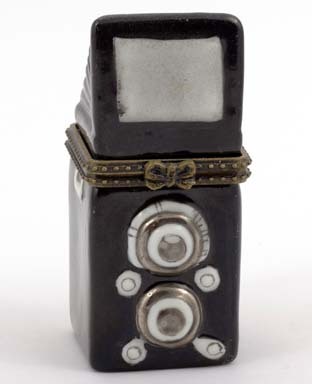 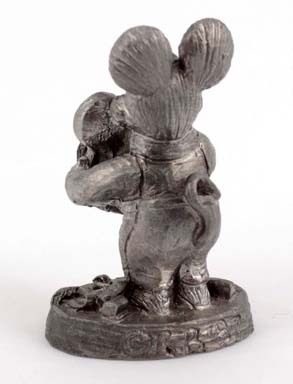 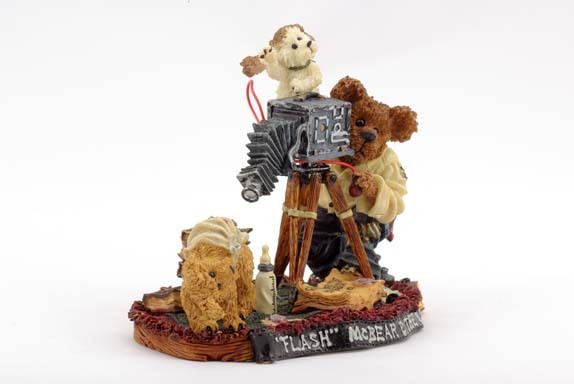 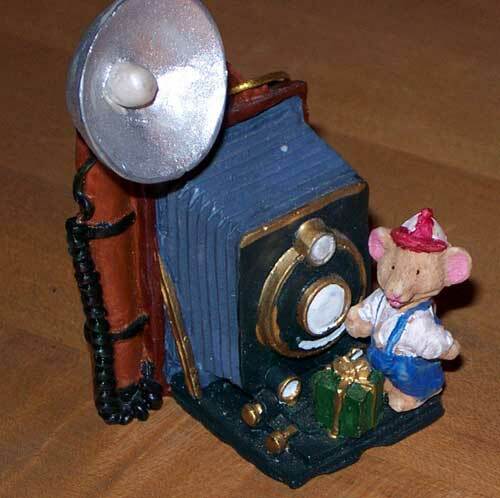 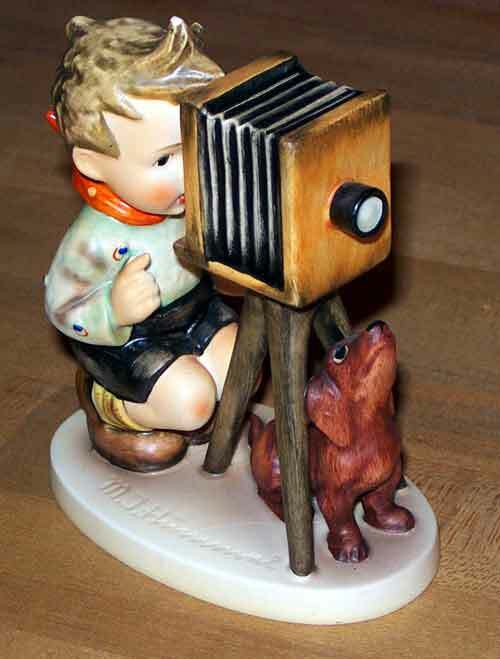 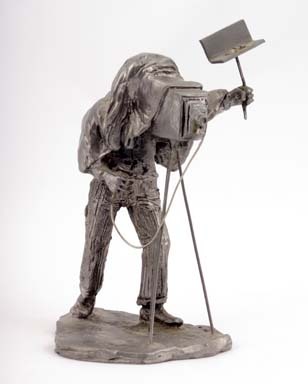 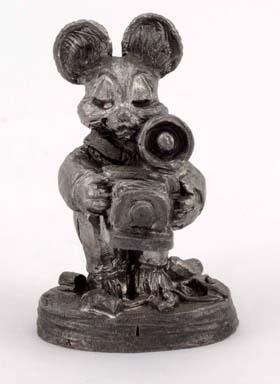 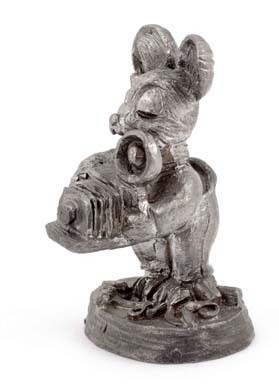 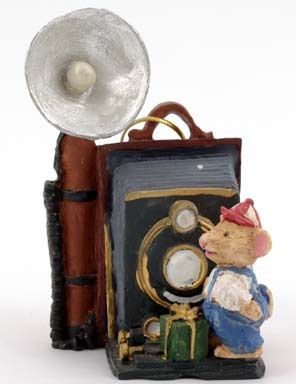 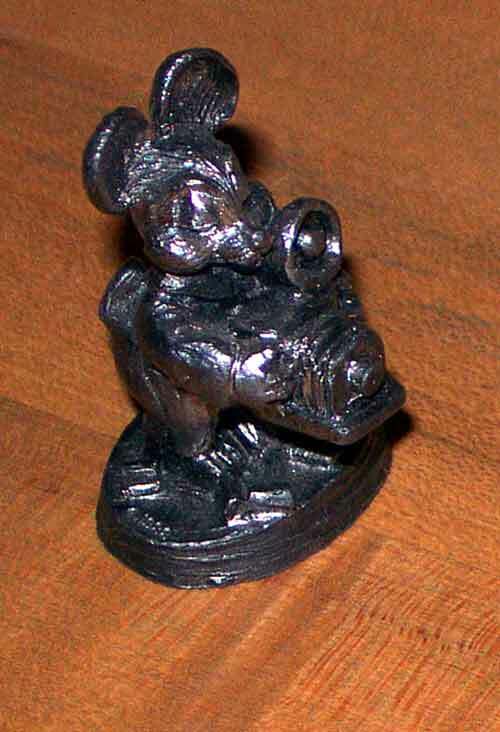 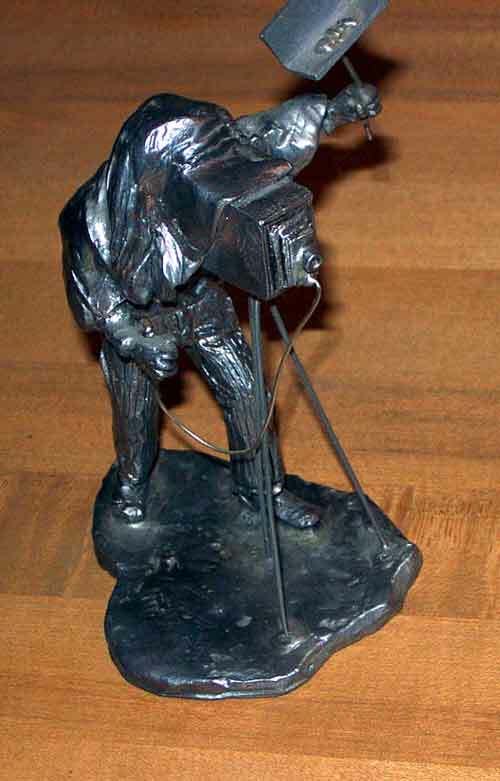 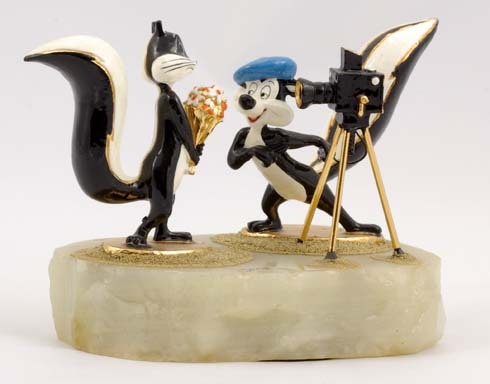 Camera figurine with bear on front. 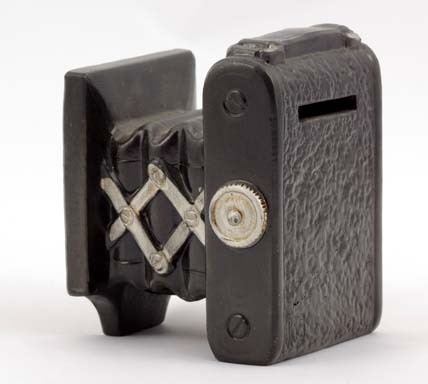 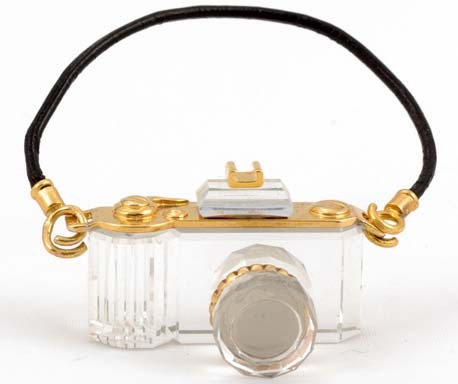 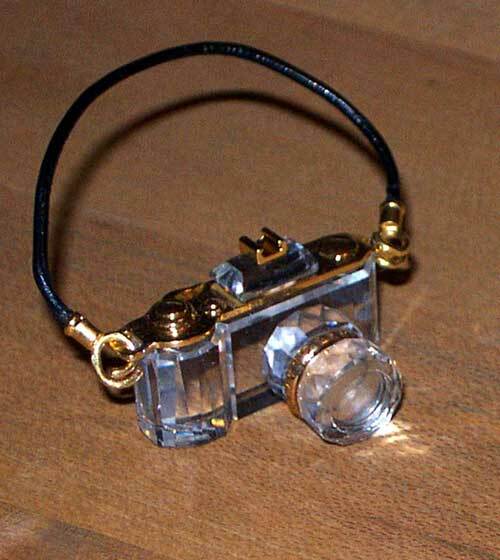 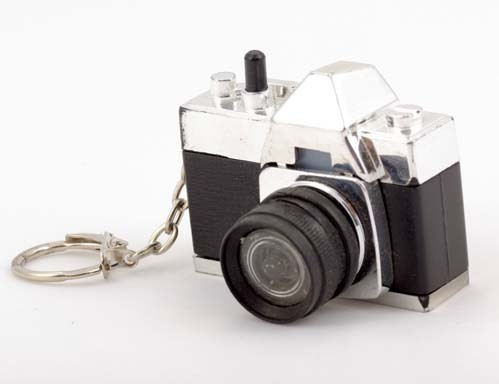 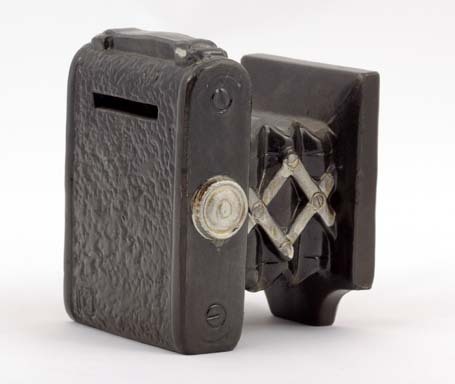 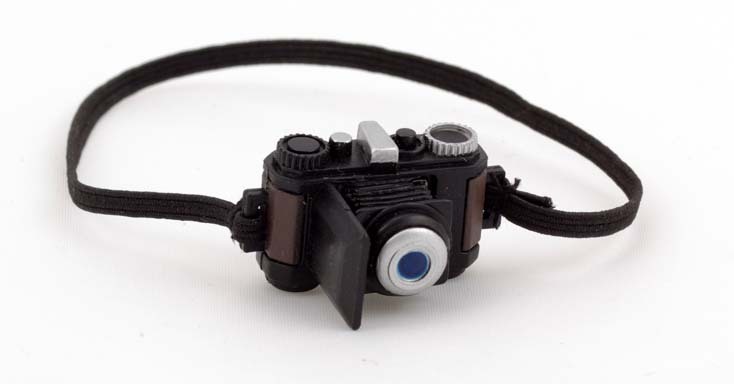 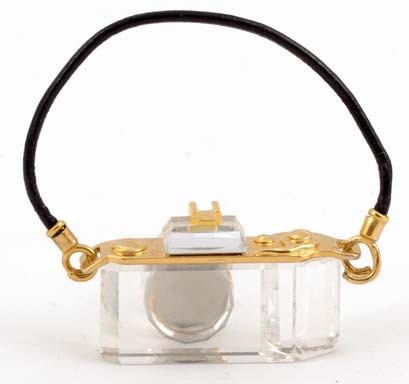 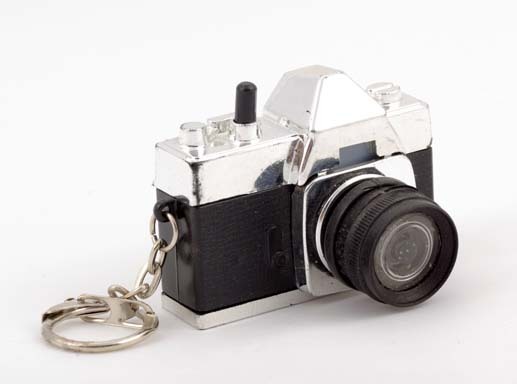 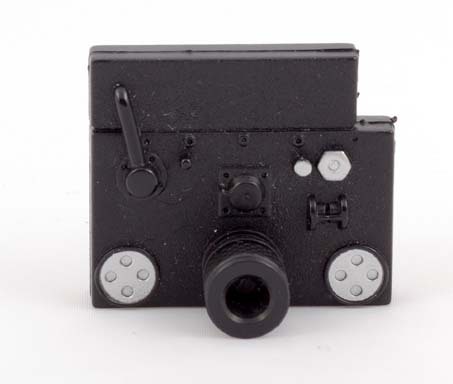 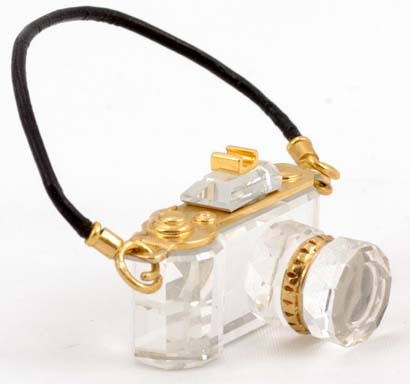 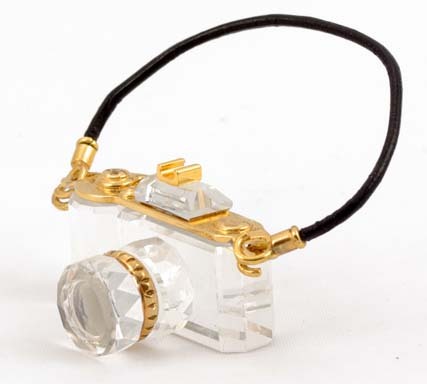 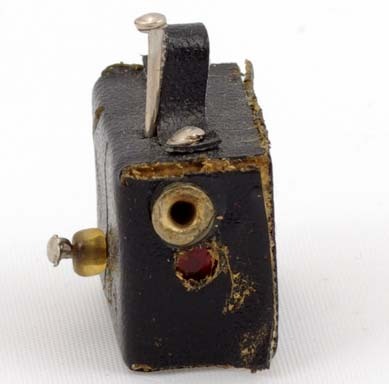 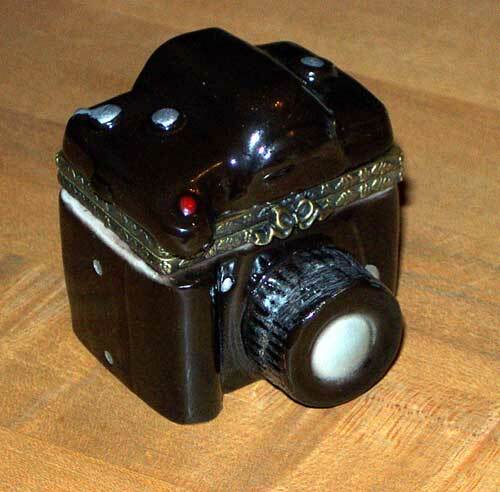 Camera replica: I don't know how they make these but you see them everywhere these days. 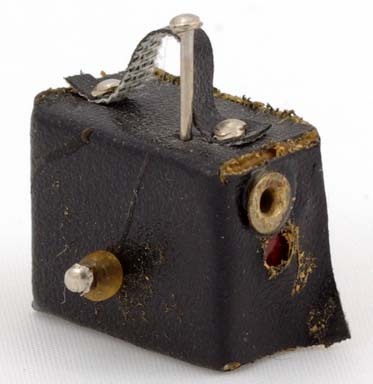 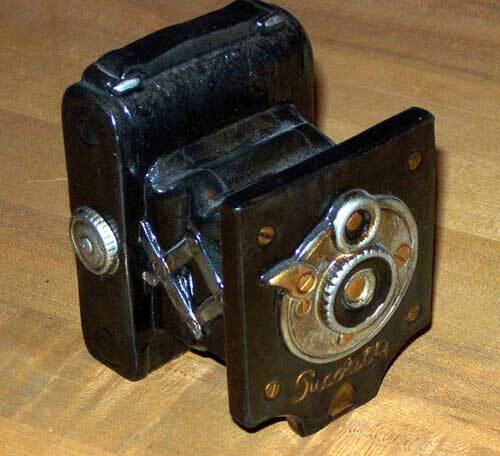 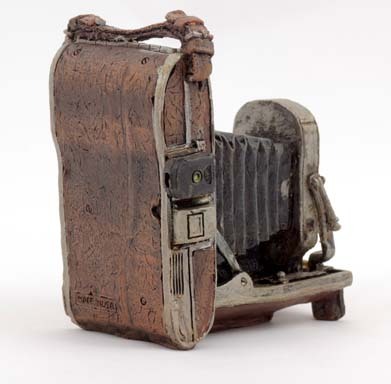 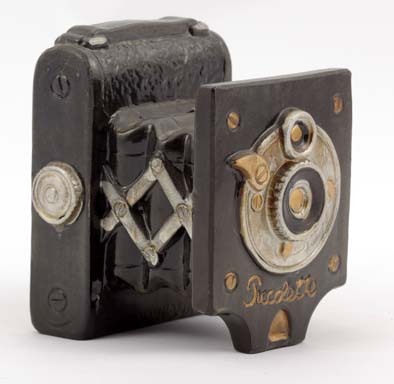 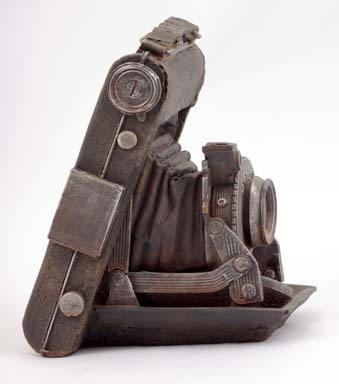 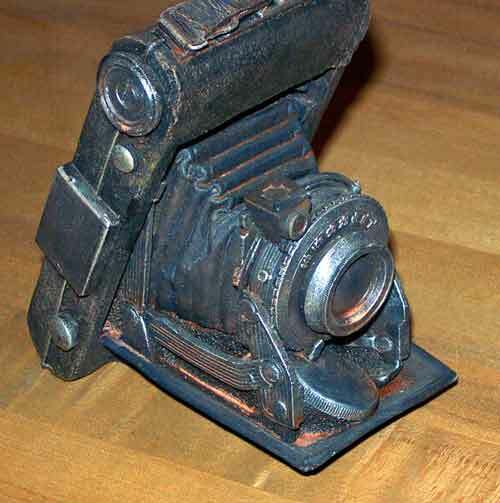 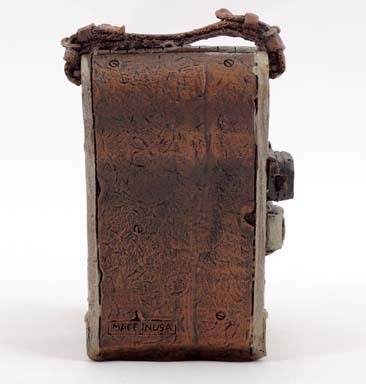 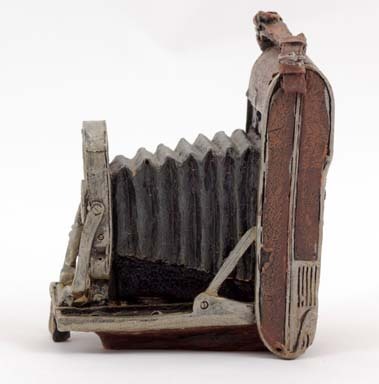 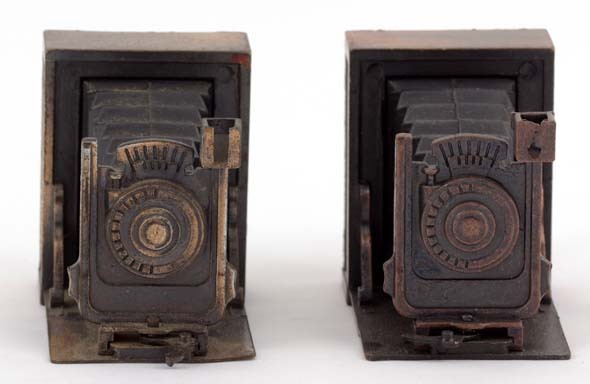 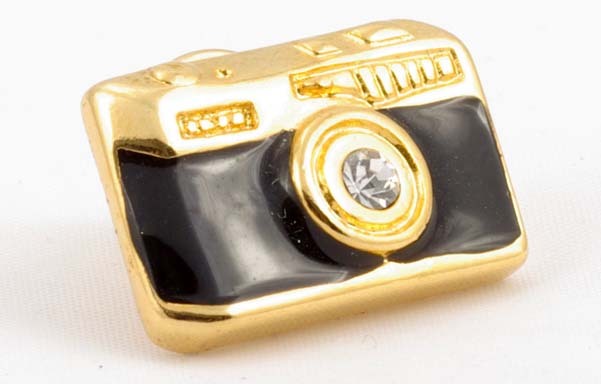 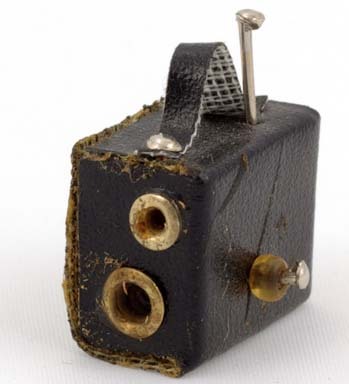 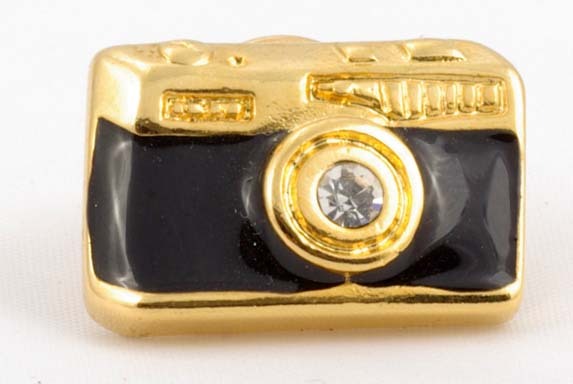 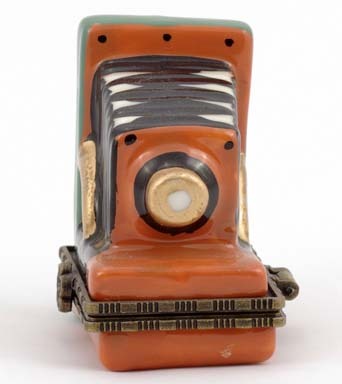 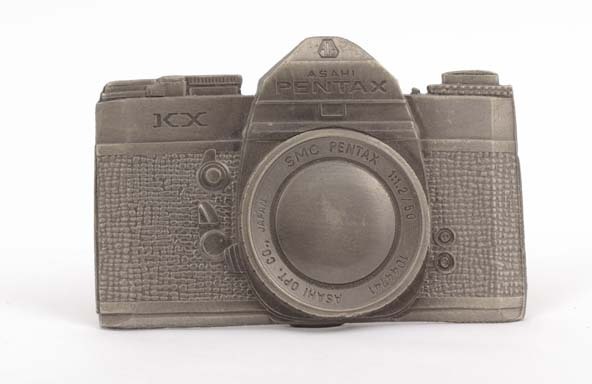 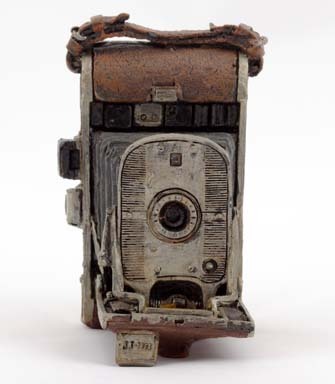 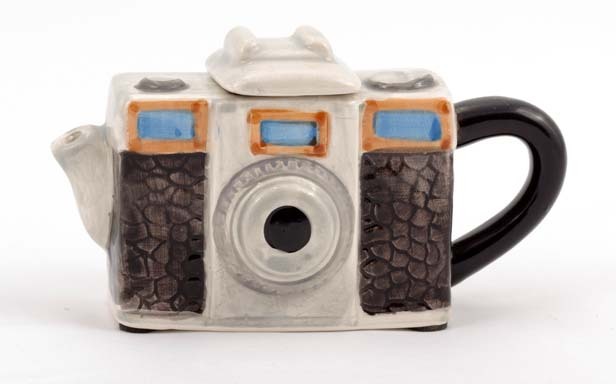 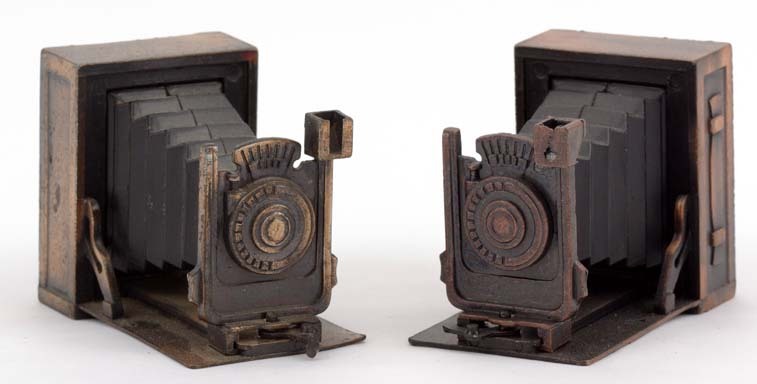 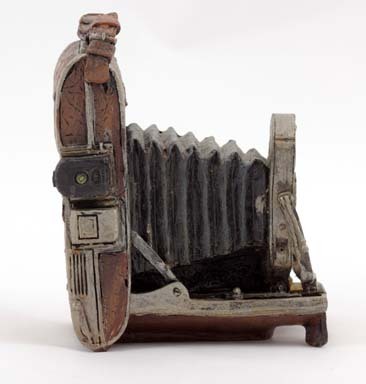 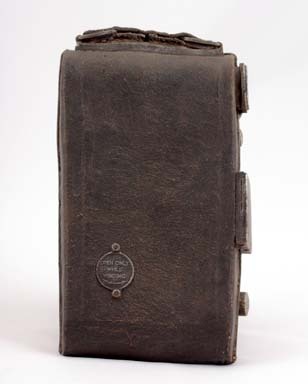 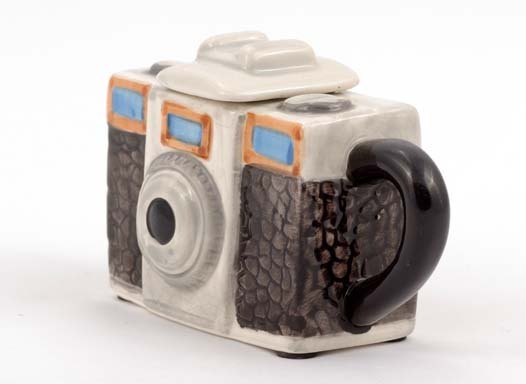 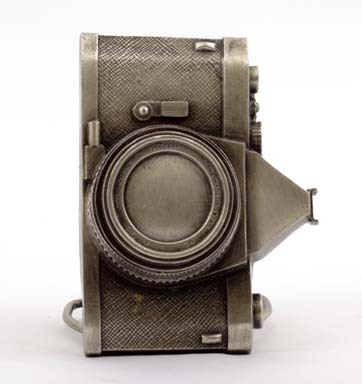 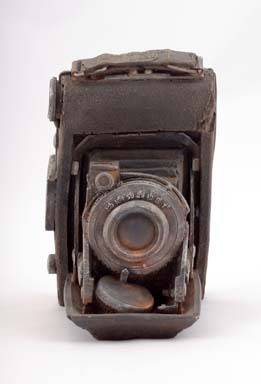 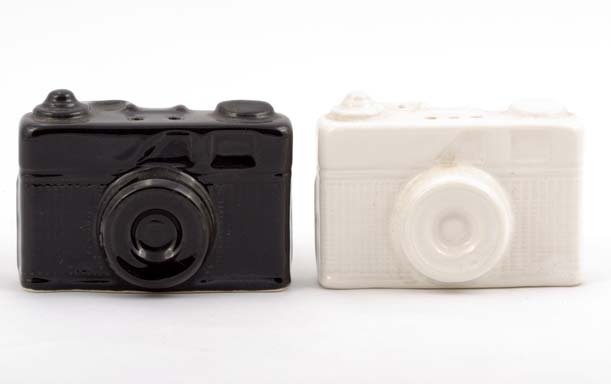 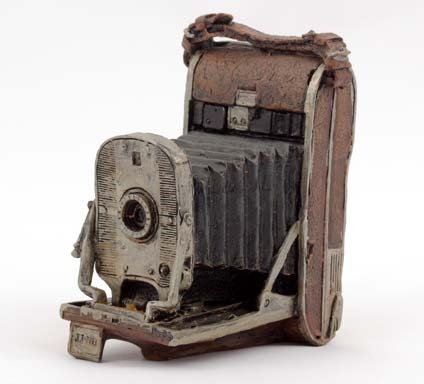 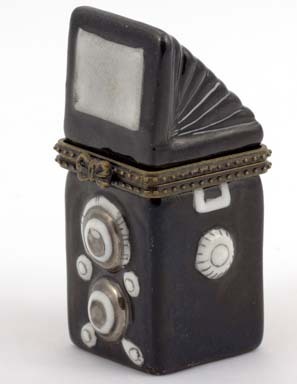 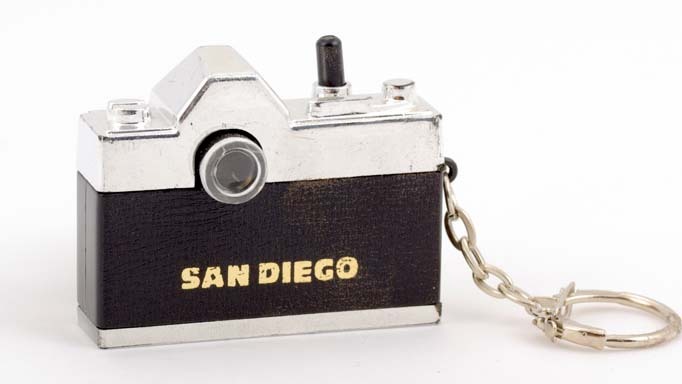 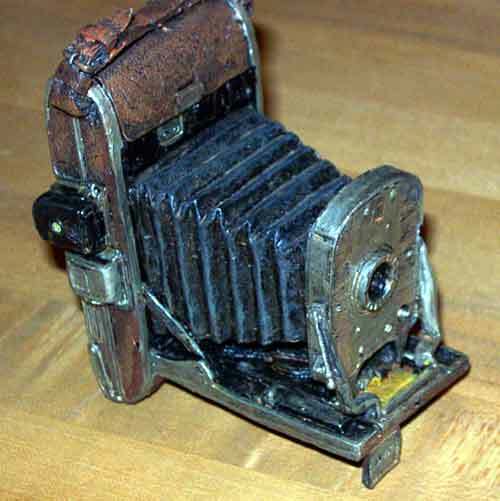 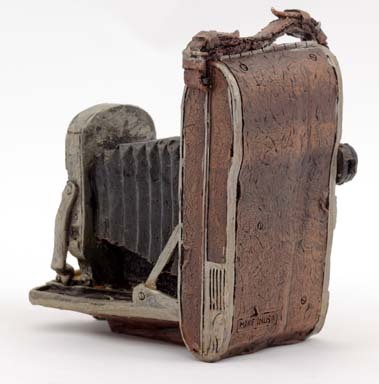 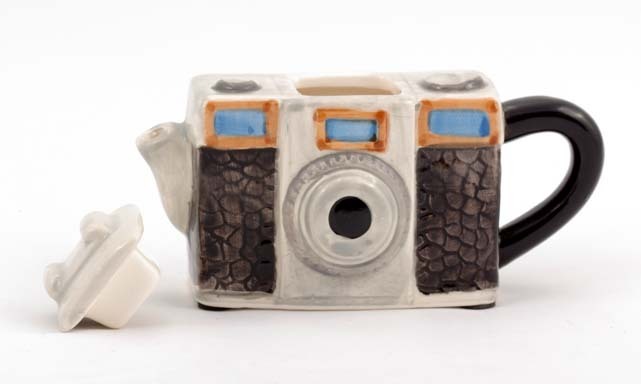 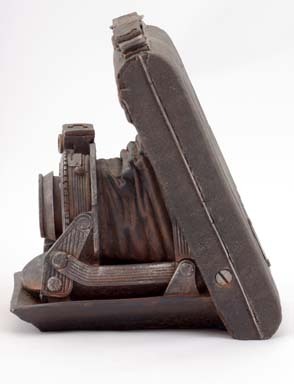 It seems to be a real fossilized camera. 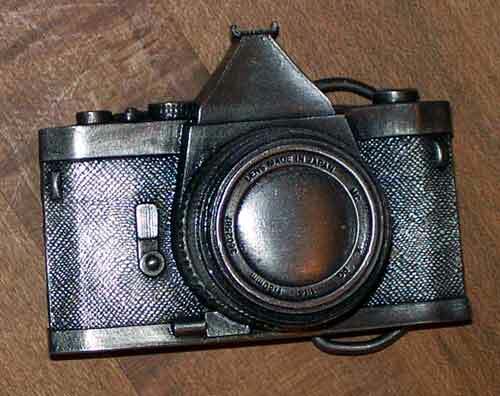 The detail is incredible. 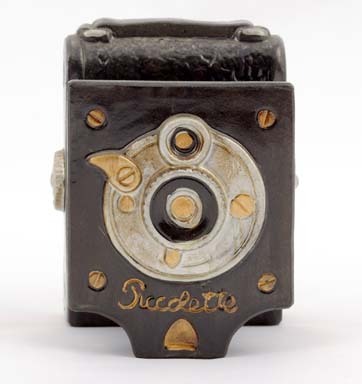 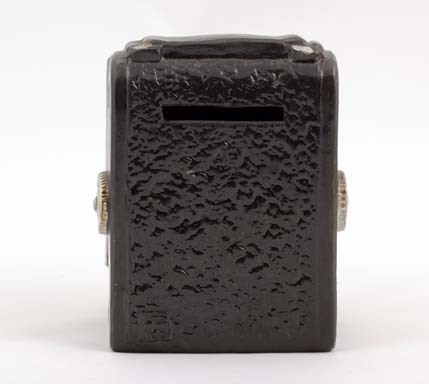 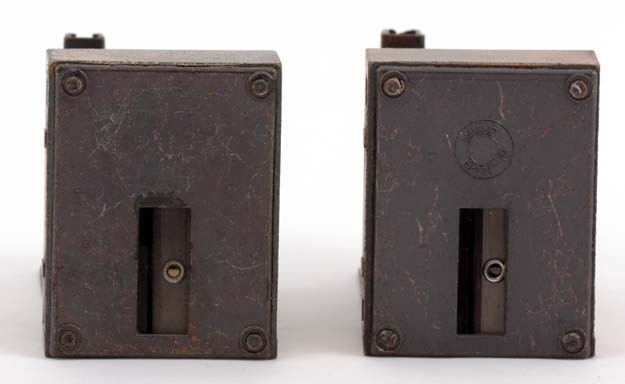 Picolette replica bank. 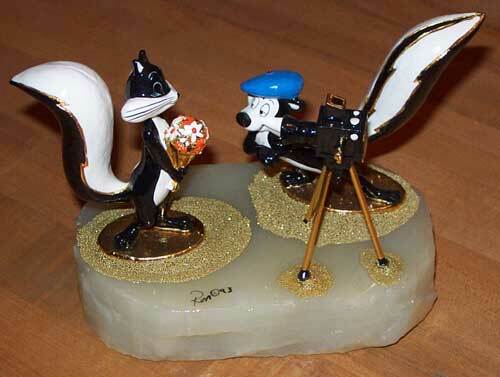 Now, at least this replica has a purpose! 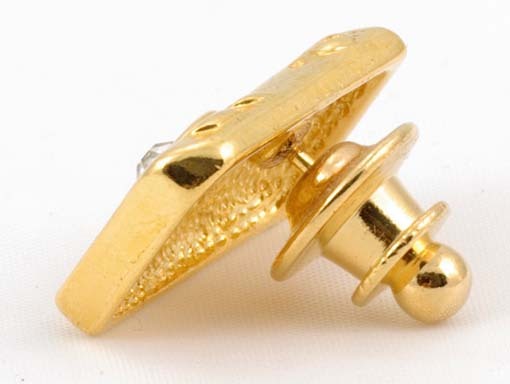 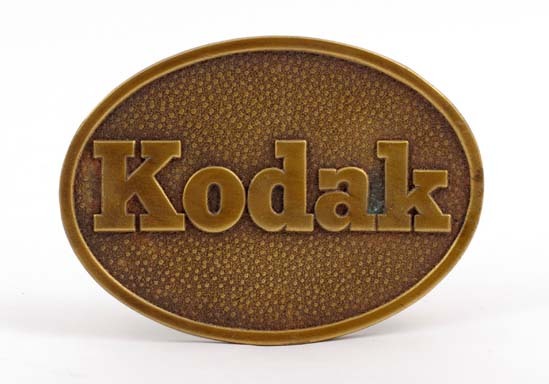 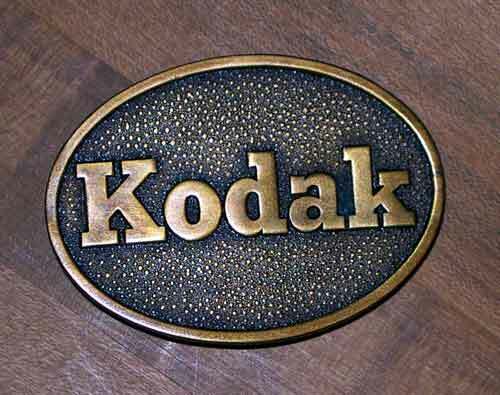 Solid brass Kodak belt buckle. 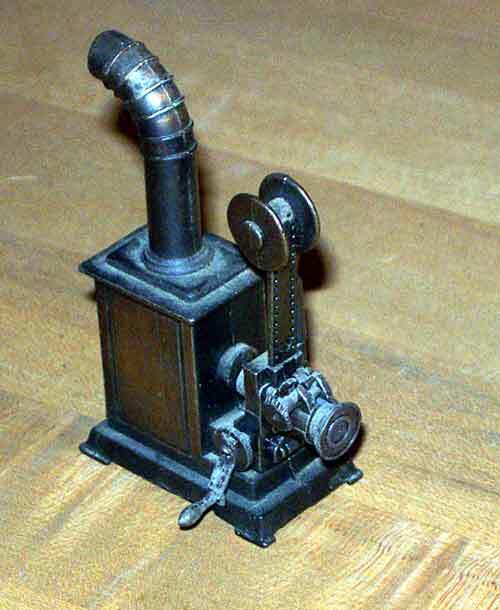 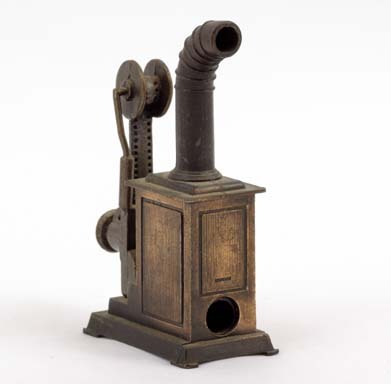 Small metal pencil sharpener. 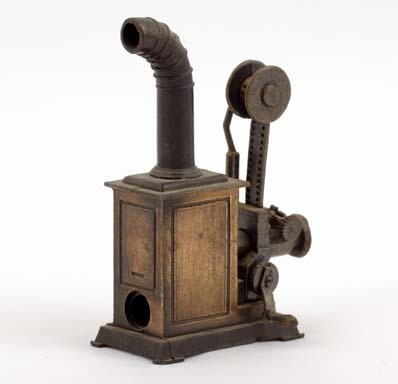 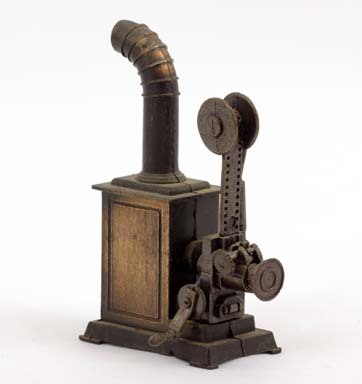 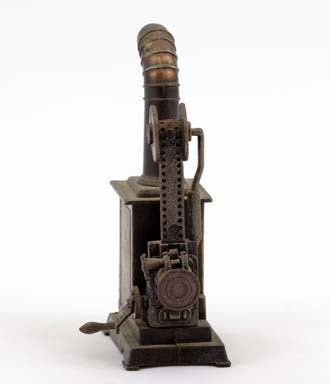 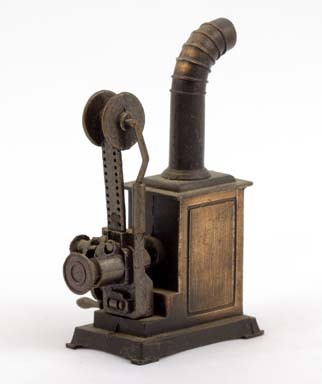 Replica of old lantern projector. 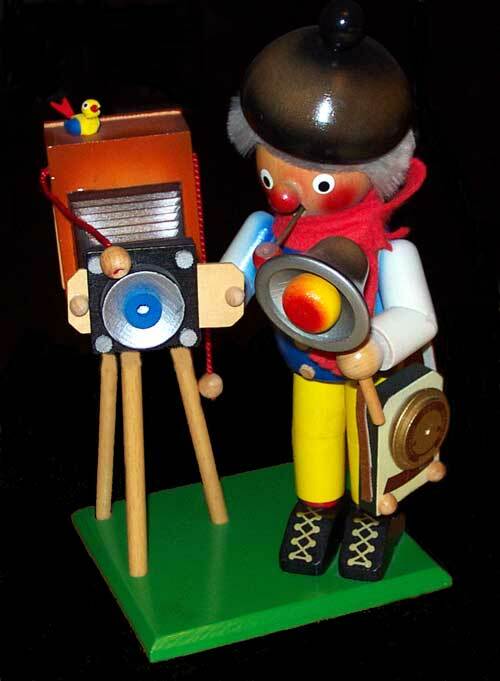 Smile for the birdie. 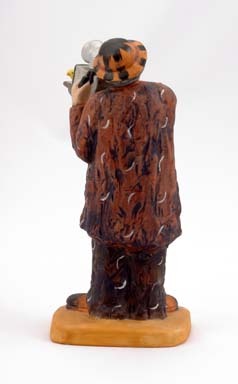 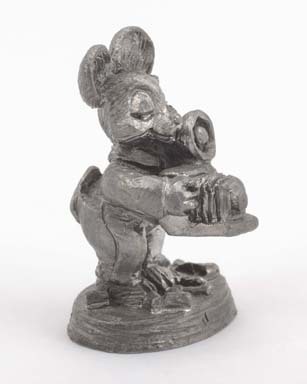 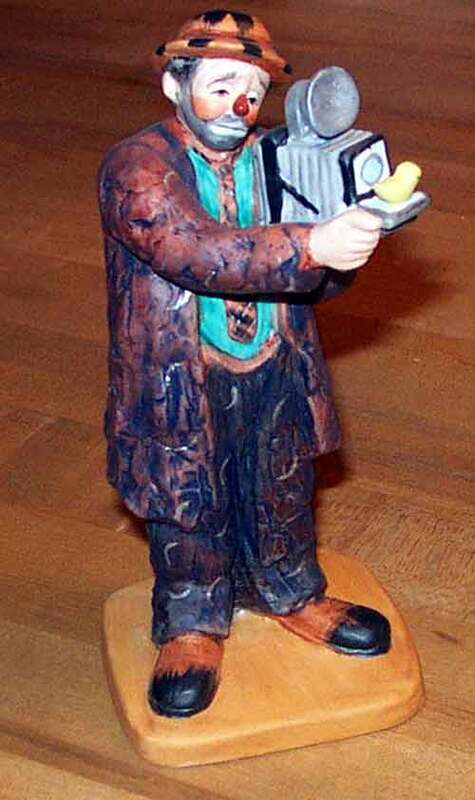 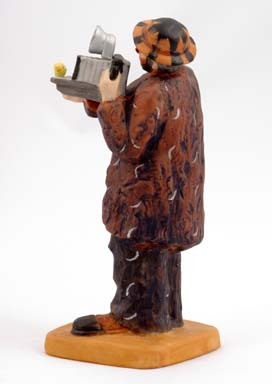 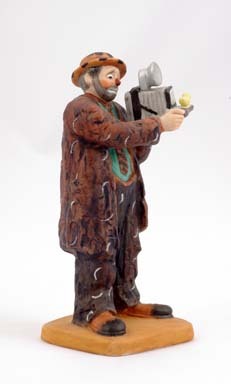 Emmett Kelley Clown figurine. 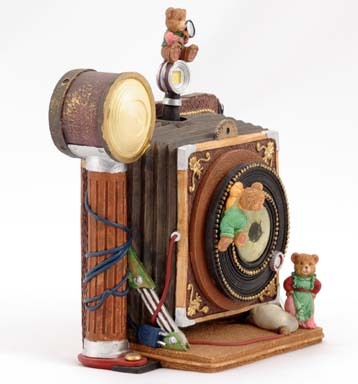 Ron Lee art. 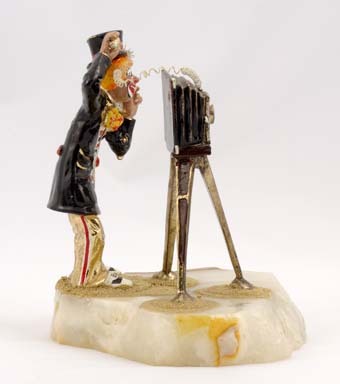 Yes this is art! 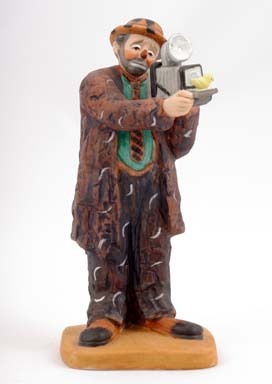 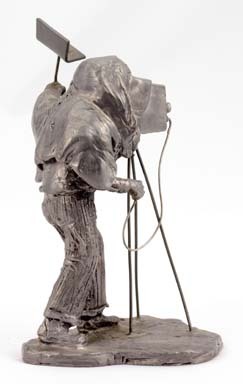 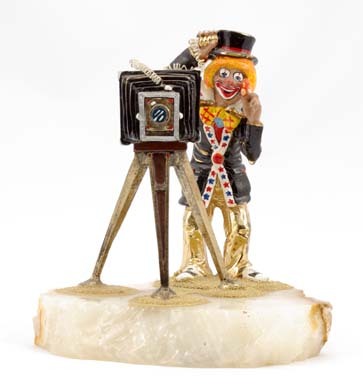 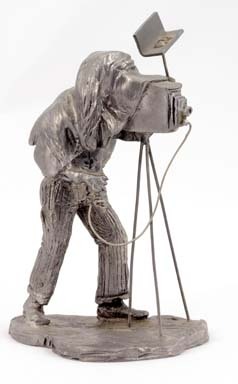 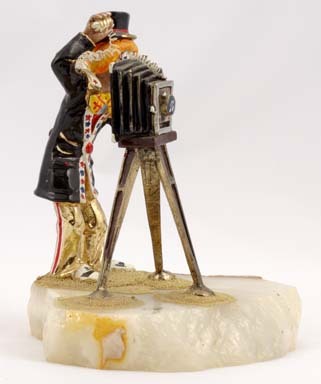 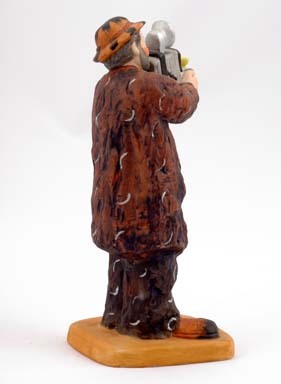 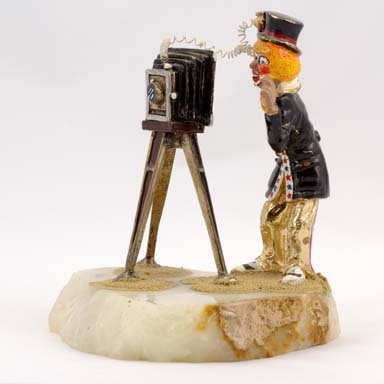 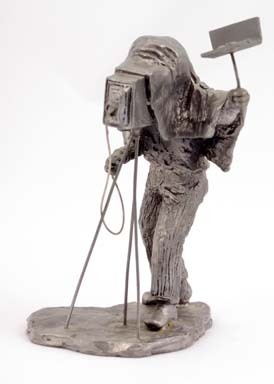 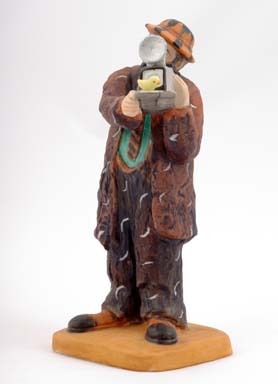 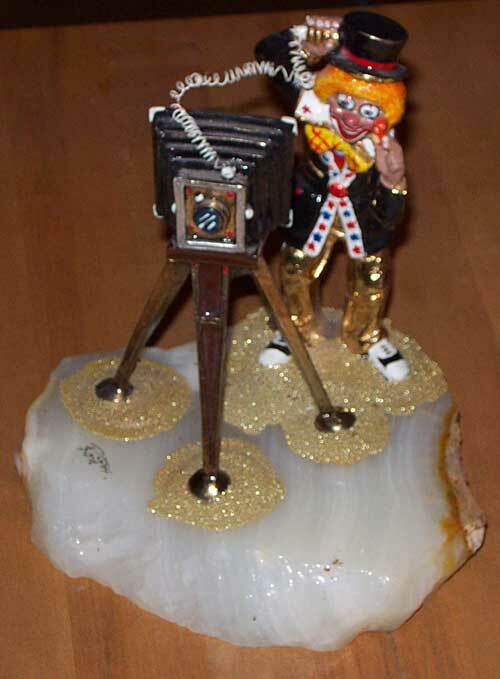 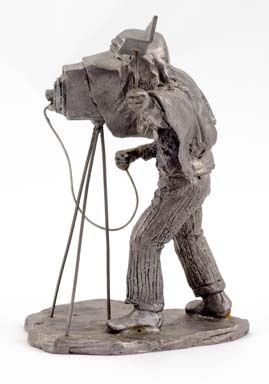 Wonderful figure of clown photographer ready to take a picture.